Jefferson County Park - Fairfield, Iowa - Tune into our Vibe! Jefferson County Park is the largest multi-purposed outdoor recreational facility in Jefferson County. Established in 1977, the park currently encompasses 190 acres and includes a nature center, bike & hiking trails, campsites, cabins & picnic areas. If you are looking for a natural experience in a rustic environment, then consider renting one of the parks 2 cabins. Each cabin holds 6 people and has all the amenities of home. If one wants to get even closer to nature and sleep underneath the beautiful Iowa starlit skies, the park offers 24 campsites. Each site comes with electricity, restrooms, and hot showers. The park can accommodate large groups at each of their 3 picnic shelters. They are open every year from May 1 – October 31 and include electricity, flush type toilets, and drinking water. Close by the shelters are horseshoe, softball and volleyball facilities. All are handicapped accessible. 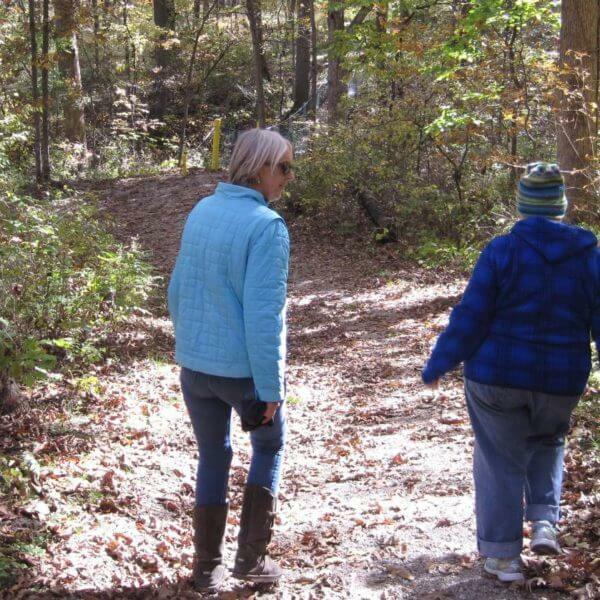 Jefferson County Park has about 8-miles of trails, which connect to the Cedar View Trail (which makes a direct connection to the Fairfield Loop Trail), the Erma Hartman Trail, and the Prairie & Pond Trail. Camping Site fees: $15 with electricity/$12 without per night. Reservations: Can not be reserved. Season: May 1 through October 31. Reservations: Required. A $50 deposit will be required at time of registration. Contact us directly to make reservations. See camping for cabin details. Reservations: May be made for one (or both) 6-hour periods. Period one is from 10AM to 3:30PM, period two is from 4:30PM to 10PM. Season: Normally May 1 through October 31. Gazebo fee: $10 per 6-hour period (same as shelters) or it can be rented in conjunction with shelter #3 for $5.00. See it here.